This is a collection of soundset packages for BGEE, BG2EE or IWDEE to be used by player created characters. 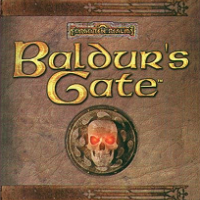 This collection features Baldur's Gate 1 NPC voicesets slightly customized in order to be used by player created characters. Different versions of the soundsets with subtitles will be installed depending on your game. See the readme for more information. If you enjoyed any of the soundsets and you do not already own the game that the soundsets come from, you are largely encouraged to buy the related games, both because they're excellent games on their own, and because this way you're giving something back to the game developer. This mod was put together by the Smeagolheart. Portions of the code were developed by thebigg, Ascension64, Mike1072. Any portions of this mod (or the mod itself) will be removed as soon as I receive objections to it from the legal copyright holders. * Revised TP2 code to only copy applicable sounds to installed game. * Revised Mod to only feature BG1 NPCs. Extra soundsets will be moved to other Awesome Soundsets Volumes.